About us: We have our own designers and manufacturers, our products are widely sold all over the world. Stylish design and guaranteed quality. Newborn babies need to feel warm, comfortable and safe, just as when they are in their mother's arms. Jersey cotton sheets are the perfect way to help them feel safe during their early months. They can increase how much they sleep and make sure they are rested enough to develop. The more sleep they get, the more hormone secretion and development will take place. 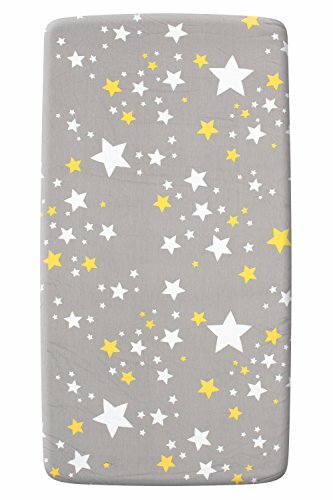 Benefits of fitted crib sheet: - Lightweight and perfect for your baby's sensitive skin - Classic and gender neutral design - Durable and machine washable Specification: Size: Fits securely on standard crib mattresses (28 x 52 x 9") and standard toddler beds Fabric: Jersey cotton, Comfortable and breathable Usage: For birthdays, baby showers and beyond-give the gifts that will be cherished by both children and parents alike Packaging: 1 x Fitted Crib sheet Click the 'Add to Cart' button at the top of the page now! Let your style soar with the Carter's - Butterflies 4-Piece Toddler Bed Set in Pink, Mint, Yellow, Aqua, and Blue. 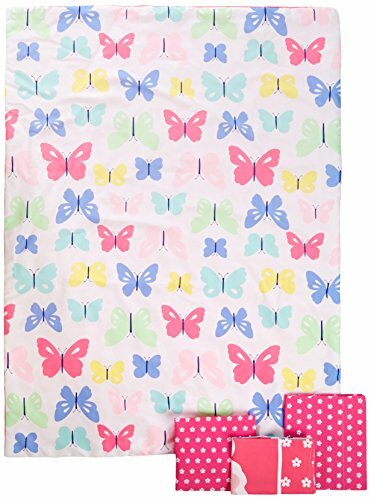 This sweet toddler set starts with a double-sided comforter featuring colorful butterflies in shades of bright pink, mint, yellow, aqua, and blue on a white background on one side and solid pink on the other. Turn the colorful comforter down to reveal a matching fitted bottom sheet and flat top sheet, each in bright pink patterned with white flowers. A coordinating, double-sided pillow case in bright pink features a bright butterfly in shades of pink and blue with a white flower edge on one side and "Sweet Dreams" block letters on the reverse side. The comforter and pillowcase are made from 100% Polyester Microfiber and the sheets are a Cotton/Poly blend. All pieces fit a standard toddler size/crib mattress. 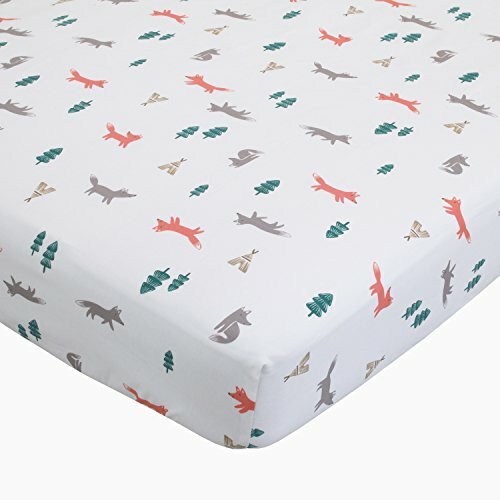 Carter's - Fox Toss - Cotton Sateen Crib Sheet / Features an all-over southwest forest theme with playful orange and grey Fox on fun adventures among teepee's and a pine tree forest. This playful print comes in shades of white, grey, green, taupe and pops of orange. 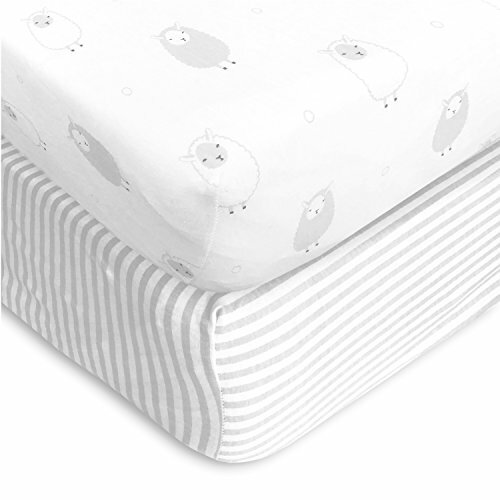 Baby will drift away to dreamland with Carter's Cotton Sateen fitted crib sheets. 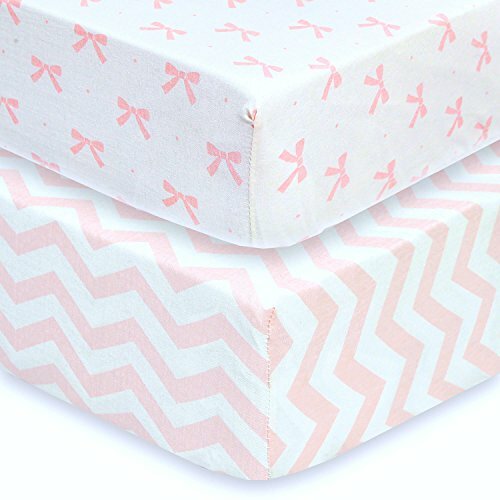 Provides extra softness for your baby's comfort and is featured in beautiful decor colors and prints. 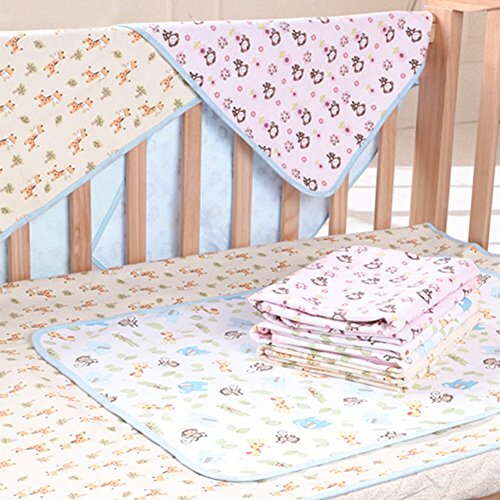 Sheet fit a standard size crib and measures 28 inches x 52 inches x 9 inches. Made of soft 100% cotton sateen fabrics. Machine washable for easy care. Perfect baby basic every nursery needs. 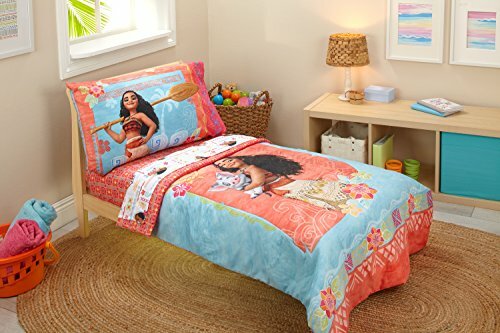 The NoJo Dreamer Collection - Little Explorer - 8-Piece Crib Bedding Set - Includes: 1 Comforter, 2 Crib Sheets (2 Prints), 1 Crib Skirt, 1 Printed Pillow, 1 Diaper Stacker, 1 Coral Fleece Blanket with Applique and 1 Changing Pad Cover. Your little world traveler will dream of big adventures with this stylish crib set. The comforter features a fun map to explore, with animals from many countries, lions, bears, parrots, camels, elephants and more. Designed in shades of light blue, white, navy and grey. One crib sheet comes in the all-over map print, the second crib sheet is white with the words "dream" in grey cursive - both are made of 100% Cotton Sateen, 200 TC. The crib skirt is solid navy with a 16" drop length. The decorative pillow measures 14" x 10" and comes in the map print with navy trim and the "dream" words printed on the back in grey and white. Keep your nursery tidy with the handy map print diaper stacker accented with navy trim and the "dream" words print in grey & white cursive at the top. This set also includes a cozy baby blanket made of light blue coral fleece fabric with a tan lion applique, measures 30" x 40". And don't forget the plush changing pad cover in solid light blue coral fleece, measures 32" x 6" x 16", adds comfort and style to your changing area. 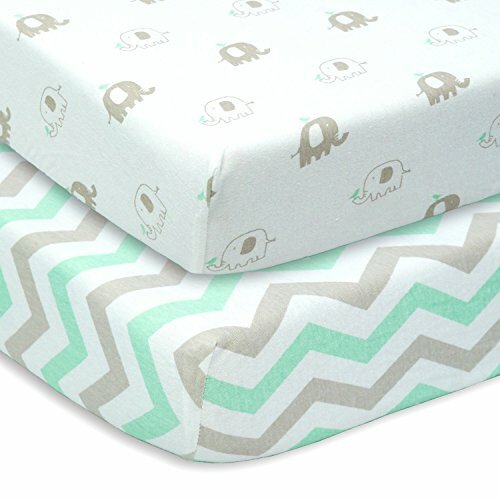 Looking for more Crib Print Top Sheet similar ideas? Try to explore these searches: Indigo Patchwork, Verticle Tank, and Bed Cushion. Shopwion.com is the smartest way for comparison shopping: compare prices from most trusted leading online stores for best Crib Print Top Sheet, Schlage Brass Handles, Amana Burners Cooktop, Sheet Top Print Crib . 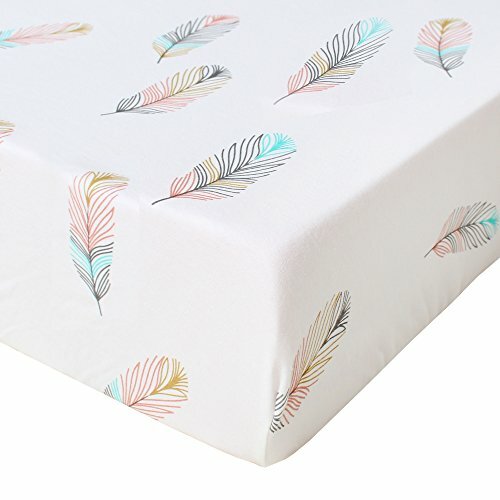 Don't miss this Crib Print Top Sheet today, April 24, 2019 deals, updated daily.